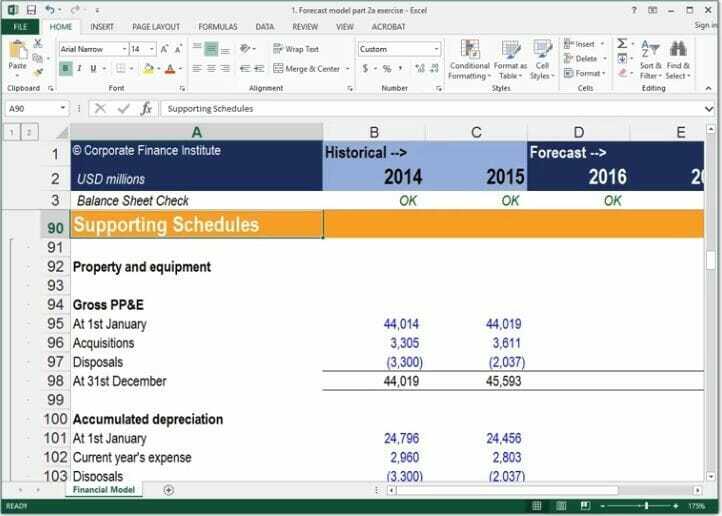 This article aims to provide readers with an easy to follow, step-by-step guide to forecasting balance sheet items on a financial model in Excel, including property, plant, and equipment (PP&E)PP&E (Property, Plant and Equipment)PP&E (Property, Plant, and Equipment) is one of the core non-current assets found on the balance sheet. PP&E is impacted by Capex, Depreciation and Acquisitions/Dispositions of fixed assets. These assets play a key part in the financial planning and analysis of a company’s operations and future expenditures, other non-current operating assets, and various components of working capital. In this four-step guide article, we forecast the income statementIncome StatementThe Income Statement (or Statement of Profit and Loss) shows performance from operations of a business. The financial statement begins with revenues and by forecasting revenues down to EBIT or operating profit. 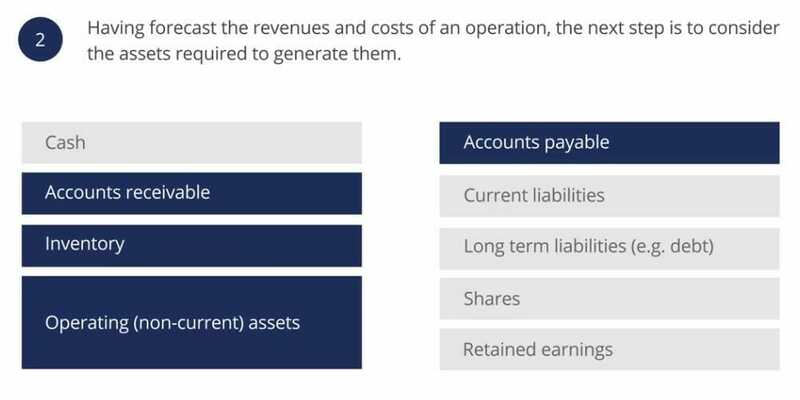 We will forecast the balance sheet by learning how to model operating assets, such as PP&E, accounts receivableAccounts ReceivableAccounts Receivable (AR) represents the credit sales of a business, which are not yet fully paid by its customers, a current asset on the balance sheet. Companies allow their clients to pay at a reasonable, extended period of time, provided that the terms are agreed upon., inventories, and accounts payableAccounts PayableAccounts payable is a liability incurred when an organization receives goods or services from its suppliers on credit. Accounts payables are expected to be to be paid off within a year’s time, or within one operating cycle (whichever is longer). AP is considered one of the most liquid forms of current liabilities. At this stage, we are not aiming to forecast all the items on a balance sheet. Having forecast the revenues and operating costs, the next stage is to forecast the operating assets required to generate them. For now, we will exclude the financing items on the balance sheet and only forecast operating (non-current) assets, accounts receivable, inventories, and accounts payable. Before we begin to forecast, it is important to remind ourselves of the first principles approach and the “quick and dirty” approach. Applying the first principles approach in forecasting balance sheet items will provide high levels of detail and precision in the model, even though it is more challenging to follow and audit. On the other hand, the “quick and dirty” approach will allow us to build a model in a much more straightforward way with the benefit that our model will be smaller, easier to follow and audit. The other benefit related to the latter approach is that linking PP&E to revenues ensures as revenues grow, PP&E also grows. In a more complex forecast, we may need to breakdown PP&E into further detailed items. In order to do this easily within a model, the best approach is to put the PP&E breakdown in a separate note or schedule. In our financial modeling exercise, we put all our supporting schedules in another section to keep our building blocks for inputs, processing and outputs separate. Breaking down the calculations will allow us to identify forecast acquisitions and disposals, which are necessary to complete a cash flow forecast. When forecasting PP&E from first principles, we typically start by forecasting acquisitions and disposals and then work down to PP&E net book value. 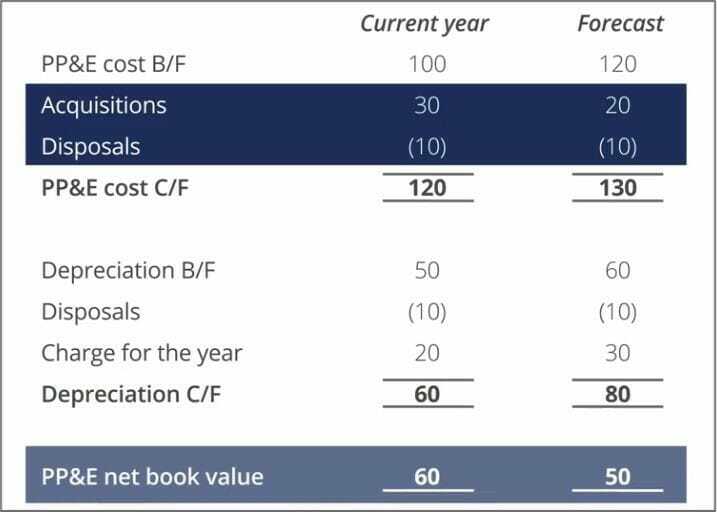 When forecasting PP&E using the “quick and dirty” approach, we do the reverse and start from PP&E net book value and work upwards to acquisitions and disposals. Disposals can be forecast based on the historical relationship between the gross cost of opening PP&E and the gross cost of disposals. The first-principles approach to forecasting working capital typically involves forecasting individual current assets and current liabilities using various working capital ratios, such as receivable days, inventory days, and payable days. Alternatively, we can calculate working capital as one item in a “quick and dirty” way based on historic trends. Cash, although often considered part of the working capital, will be forecast as a financing item later. The second formula shows how we can use forecast cost of sales/revenues and inventory days to forecast inventories. Consider forecasting PP&E using the capital asset turnover ratio. This approach enables you to forecast PP&E quickly and ensures that PP&E grows as revenues grow.